Whispering Waters - located across from North Shore Park, Palm Arboretum, Municipal Pool and Tampa Bay. 55 + Community. 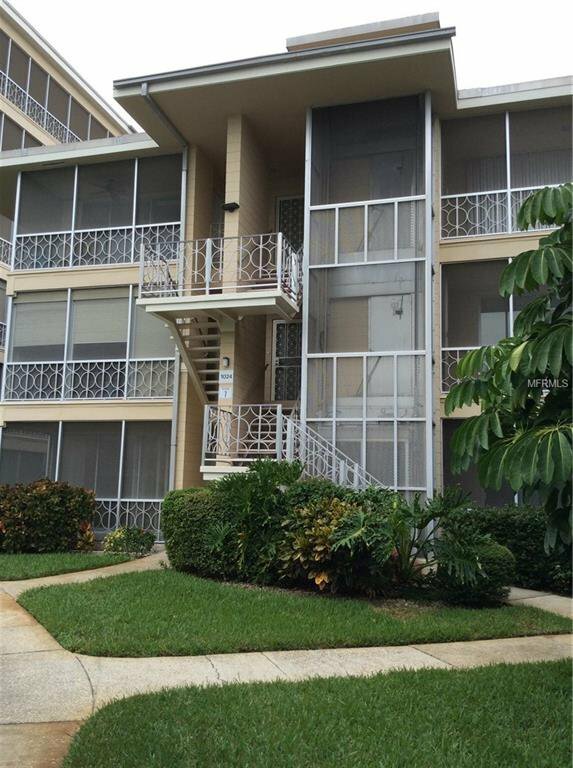 This 2 bedroom, 2 bath, GARAGE unit is freshly painted throughout and has been very well maintained. The A/C is two years old. Washer and dryer are in the unit. There is an abundance of storage and closet space. Bright and sunny unit with three screened porches. Lush landscaping throughout the complex. Garage is conveniently located. Condo fees include ELECTRIC, gas, water, trash and sewer. Listing courtesy of HOFACKER & ASSOCIATES INC. Selling Office: SOUTHERN ROOTS REALTY.